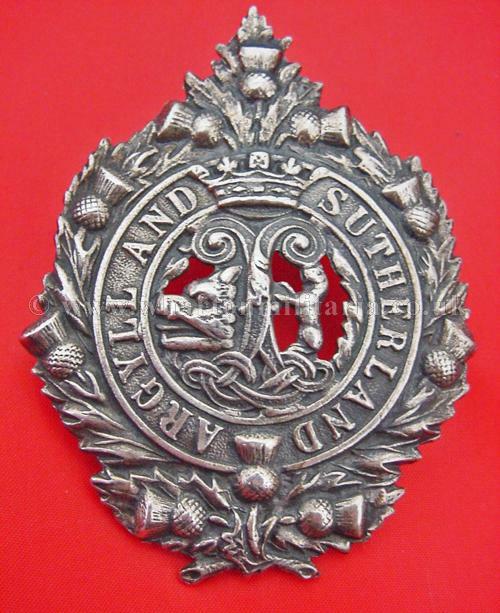 Argyll & Sutherland Highlanders, solid silver badge, marked 'silver' along with jewellers marks, a really nice and heavy solid silver badge, circ WW2 period, still retaining its silver bonnet pin. 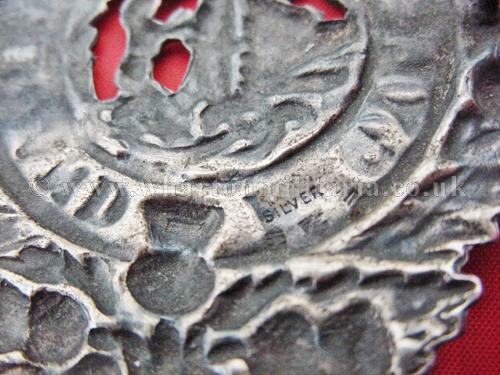 These older badges are getting scarce to find especially as many are melted down due to their weight in silver. 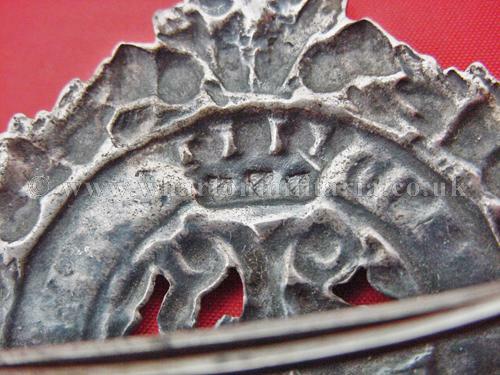 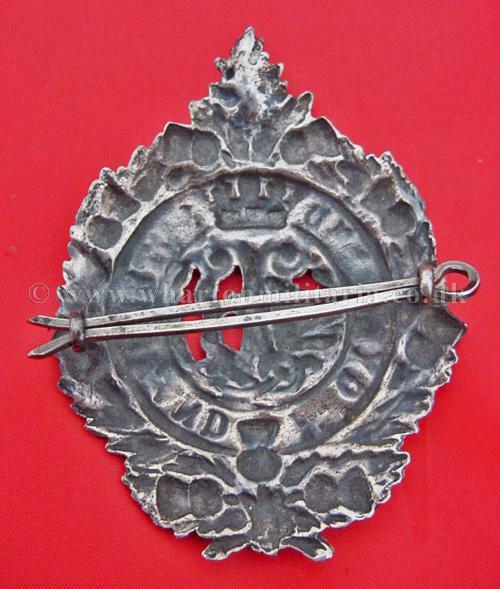 An excellent example of this sought after silver regimental badge.